Your jaw may be too small to accommodate the eruption of your wisdom teeth, leading them to become impacted (stuck in the jaw, often under the edge of an adjacent tooth) and unable to erupt through your gums. Your wisdom teeth may partially erupt, leaving a flap of soft gum tissue to grow over the tooth. Food, bacteria and germs can get trapped underneath this gum flap, leading to swelling, redness and pain, which are signs of infection. Impacted teeth can lead to a more serious problem, such as acute infection, damage to the surrounding teeth, damage to the bone or the development of a cyst. Wisdom teeth can present at an awkward angle, coming in with the top of the tooth facing sideways, forward or backward. The younger you are, the less developed your wisdom teeth roots are, and the less dense your jawbone, allowing for an easier extraction of the tooth. The majority of problems with wisdom teeth begin between the ages of fifteen and twenty-five. 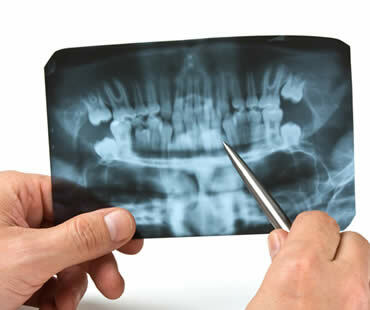 If you have a medical condition that is known to worsen with time, you may choose to have your wisdom teeth out early, while you are in your best health, to facilitate maximum healing. Wisdom teeth extraction is rarely harmful, but there are risks associated with any surgery. 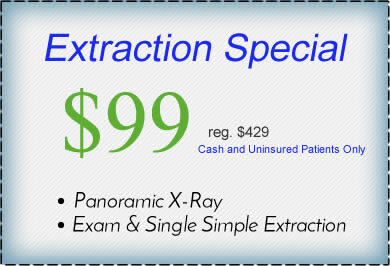 Talk to your dentist today about any concerns you have regarding wisdom tooth extraction. Many children aren’t excited about seeing the dentist, either as a result of comments others have made or the idea of an unknown experience. Dental visits are necessary for everyone though, beginning around the child’s first birthday. Here are some basics to know about your child’s dental care. When your child sees the dentist for the first time, the dentist will look for tooth decay and determine your child’s risk for it. You will be shown how to properly clean your child’s teeth. Also, your dentist will explain the risks of habits that may affect your child’s teeth, such as thumb sucking or sugary drinks. You should continue to take your child to visit the dentist every six months, or in some cases more often if your child’s risks are high for tooth decay. Regular checkups can reduce your child’s risk for cavities because plaque will be removed and fluoride will be applied to strengthen the teeth. Also, potential dental issues may be caught early to avoid problems in the future. Even though your child might not have permanent teeth yet, dental work may be required on baby teeth too. Cavities can be painful and should be filled. Also, healthy baby teeth help your child properly chew, speak, and develop permanent teeth. It is important to help your child’s dentist visits go smoothly so that lifelong habits of regular checkups without fear can be developed. You might consider choosing a pediatric dentist who specializes in children’s oral health and is trained to help kids through the dental visit. 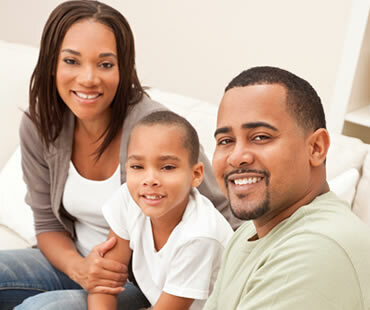 Discuss an upcoming dentist appointment with your child, and explain what to expect during the visit. If possible, take your child by the dentist’s office before your first appointment to see what it’s like. During the checkup, remain near your child to increase feelings of security and comfort. Teeth that cause you to be embarrassed about your smile may be hidden using a popular cosmetic dentistry technique called veneers. Broken, chipped, discolored, or misaligned teeth can easily be hidden with this long-lasting dental solution. Veneers are very thin shells, usually made of durable porcelain, placed over your teeth to hide the flaws. It is a simple process for your dentist to attach them to your teeth, and you and your dentist can even choose the color of your veneers for the most natural and appealing look. The process is pain-free and does not require lots of time at your dentist’s office. Veneers feel like regular teeth and do not cause irritation of your gums. One of the greatest things about veneers is that the porcelain resists stains, so you can eat and drink whatever you would like without avoiding items that are known to discolor teeth. Caring for veneers does not require anything additional to your normal oral hygiene routine. Proper maintenance will help keep your veneers looking great and your teeth healthy. Finding a dentist to do your veneers is usually easy. 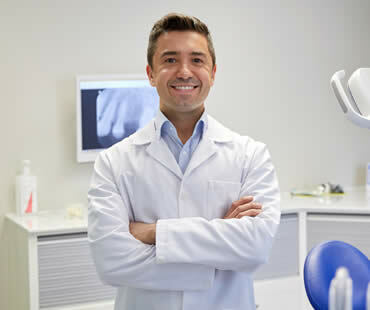 Many dentists practice this technique, it is just a matter of inquiring to find out which ones provide the service and determining who you are most comfortable with to do your dental work. You should make sure that the dentist you choose is experienced and qualified in providing dental veneers. Asking for before and after photos of other patients with veneers is a good idea too. Once you have chosen a dentist and decided together that veneers will be helpful in your case, you will be on your way to a beautiful smile. Are you unhappy with the appearance of your smile? Will the improvements you desire need multiple dentistry treatments to achieve the results you are seeking? You may be an ideal candidate for a smile makeover. A smile makeover is a process in which a number of cosmetic dentistry treatments are combined to perfect your smile. Usually, a smile makeover will include options like teeth whitening, dental bonding, porcelain veneers, invisible braces, composite fillings or gum contouring. Broadly, anyone who has problems with their teeth is a candidate for a smile makeover. However, the best candidate for a smile makeover will be in good general and oral health. You should be free from gum disease and any other ailments or health problems that would preclude undergoing cosmetic dentistry procedures. An ideal candidate will also have grown in all permanent teeth and completed their jaw growth, making a smile makeover inappropriate for young children. 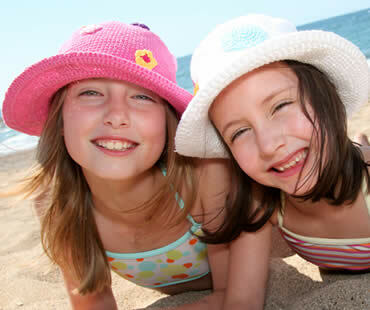 The appearance and health of your smile are vital to your self-confidence and overall happiness. Smile makeovers are safe and effective for most candidates, with little to no side effects. To determine if a smile makeover is right for you, contact an experienced, qualified cosmetic dentist for a one-on-one consultation. Wisdom teeth got their name because they are the final teeth to develop, usually in the late teens to early twenties, at a time when a person becomes fully mature or “wise.” Wisdom teeth are the third and final set of molars in the very back of the mouth. Most people have four total (two upper and two lower), but others never develop them at all. Wisdom teeth can be a valuable chewing aid, but often they are poorly aligned or don’t develop properly. Unless you start to feel them breaking through, you may not know whether you have wisdom teeth or not. Ask your dentist to examine you to see if these teeth are healthy and properly positioned. 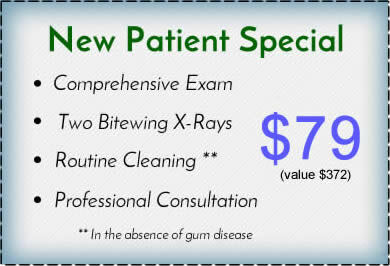 An x-ray may be required, and your dentist may refer you to an oral surgeon to be evaluated further. You don’t always feel anything with your wisdom teeth, but sometimes they are very bothersome. You may experience pain when they erupt in awkward positions, especially if the teeth rub against your mouth. Other problems include stiffness in the area, infected swelling of the gums, tooth decay, gum disease, and tooth crowding. Your dentist or oral surgeon might suggest that your wisdom teeth be extracted. They can often predict if your wisdom teeth may crowd or damage other teeth, your jawbone, or nerves. Sometimes removal is appropriate before problems arise, in an effort to avoid more complicated or painful extractions later. Removal is usually simpler and less risky in young people. If your wisdom teeth are not extracted, it’s important for your dentist to continue monitoring them because problems may develop later. Wisdom teeth may be impacted, which means they are enclosed in the soft tissue or jawbone or they only partially erupt through the gum. Impacted wisdom teeth are almost always removed to avoid risks of infection, tooth decay, and gum disease. When you are having a baby, you have a lot of your mind. Most expectant moms have to worry about doctor’s appointments, prenatal vitamins, morning sickness, and picking out names. It’s important to take good care of yourself during this special time. One area that may fall by the wayside is oral health. 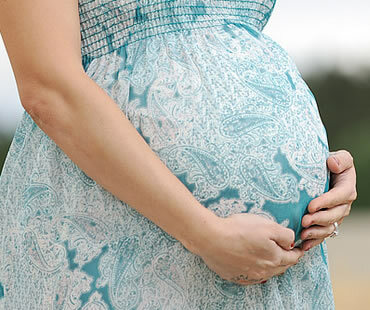 Though you may not think it’s a priority, your dental health can impact your pregnancy. Because hormone levels are so high during pregnancy, you may be more susceptible to problems with gum disease. Studies have shown that untreated gum disease can contribute to pre-term births and low-birth weight babies. Eat a balanced diet. Include foods that are rich in calcium, which will keep your dentition strong and help with your baby’s developing teeth. 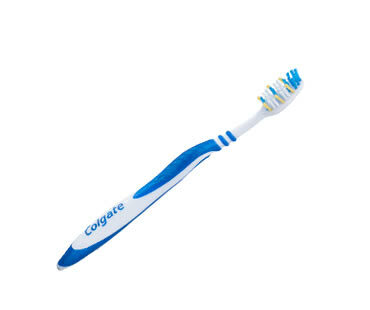 Take time to brush and floss teeth daily. This kind of home routine may help prevent bleeding gums, which often flare up during pregnancy. Watch the snacks. You may need to eat more frequently, but try to choose healthy options like fruits, veggies, and whole grains so that you are less likely to develop cavities. See your dentist for a checkup. After the first trimester, make an appointment for a cleaning and exam. Though you won’t want to schedule X-rays or repairs during pregnancy, routine dental care is important and shouldn’t be avoided. If an emergency situation does occur, contact your dentist right away. Remind the office that you are pregnant so that they can take precautions to ensure the safety of you and your baby. Having tooth pain or problems can be one of the most uncomfortable experiences possible. It is hard to ignore because it makes your whole quality of life worse. When infection or decay reaches the inner parts of your tooth, it can cause many miserable symptoms. Often the key is getting root canal treatment to save your tooth and alleviate your symptoms. Here are some warning signs that indicate you might need this type of treatment. Although not always present, severe pain sometimes occurs with a tooth that needs root canal therapy. It may be sharp, intense pain or a dull ache that won’t subside. If you experience tooth pain that is severe or lasts for several days, see your dentist for an evaluation. If root canal treatment is necessary, any pain you may have will likely disappear after a successful procedure. Discomfort when consuming hot or cold items is another sign of a problem. Mild sensitivity is usually not a big deal, but actual pain when your tooth hits these temperatures may mean the tooth is in an advanced stage of trouble. Swelling or tenderness is often associated with infection, although it doesn’t always mean infection is present. Your dentist can determine the seriousness of the issues and whether root canal treatment is advised. Watch for tenderness, swelling, or even a lump in the affected area. Discoloration is a sign that the nerves of a tooth are damaged. The tooth may become gray, black or dark yellow. Tooth discoloration is also related to trauma, damaged fillings or severe decay, so visiting your dentist for a checkup is recommended. If lesions similar to a pimple form in the gum tissues, it is called a gum boil. It is usually an accumulation of pus, which can be linked to infection. The boil may be larger or smaller at certain times, depending on the activity of the infection in your mouth. It will feel tender and can cause swelling in the area, and you may notice a bad taste in your mouth. If you have symptoms such as these, see your dentist to learn if root canal treatment is the solution. 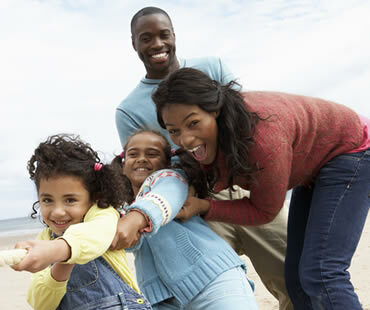 The school year has started and kids are busy with school, sports, and social activities. It’s a challenge sometimes to get your kids to eat healthy when they are on-the-go, not only for their overall health but also for their oral health. Here are some tasty and healthy snacks that you can offer your kids, and chances are they’ll like them! Dairy foods help build strong bones, and they’re also great for a strong mouth. Eating low-fat yogurt provides calcium. Try mixing it with berries and granola for a healthy parfait, or making homemade fruity yogurt popsicles to attract your children’s attention. Besides providing calcium, cheese helps fight cavities. It triggers saliva production, which washes away food particles in your mouth and the acids that can weaken your teeth. In these ways, cheese halts the process of cavity formation. Cheese not only contains calcium but also phosphorous, which both help rebuild the enamel on your teeth. These berries may be small, but they’re packed with Vitamin C, minerals, and folic acid. They also contain ingredients which studies show help prevent diabetes and cancer. Try adding blueberries to pancakes and muffins, or sprinkling them with a small amount of sugar and topping them with whipped cream. Nuts like almonds contain ingredients to fight diseases, as well as Vitamin E, fiber, calcium, and iron. Most kids enjoy eating almonds raw, but remember they are a choking hazard for young children. Bread made with whole wheat provides kids with iron, zinc, magnesium, and vitamins. Whole grain cereal offers calcium, fiber, and vitamins. Enjoying these whole wheat snacks with milk provides an even healthier snack for your kids. If you’ve been wearing dentures for a while, you may have some complaints. They might fit poorly and shift or click when you talk or eat. Poor fit can lead to discomfort and sores in the mouth that worsen over time, or they can collect food underneath them, leading to bad breath. If this sounds familiar to you, there might be alternatives for you. One of the newest developments in dentures is the pairing of standard dentures with dental implants. The dental implants are placed directly into your jawbone, providing the kind of stability only previously offered by natural teeth. Dentures fixed in the mouth with dental implants become something new: hybrid dentures. 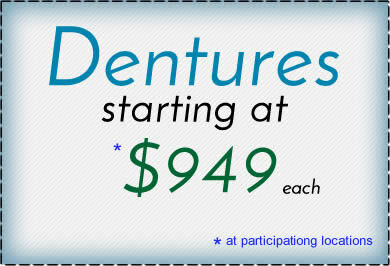 Dentures that utilize dental implants as their anchors are very stable. 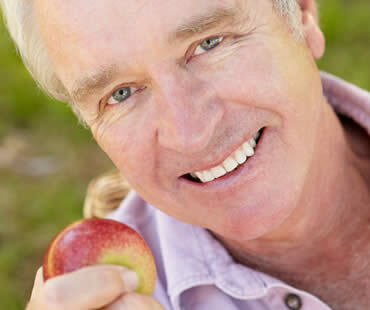 They enable denture wearers to enjoy foods previously denied them, such as crisp, healthy foods or chewy cuts of meat. Eliminating the food restrictions present for many denture wearers allows them to eat a wider variety of foods, helping to reduce the risk of poor nutrition and the poor health associated with it, including digestion difficulties. Because of this increased stability, the denture itself can be made smaller. A standard denture covers the roof of the mouth completely, inhibiting the taste and texture of foods. A denture designed around dental implants, however, has an open roof and facilitates a greater enjoyment of foods of all kinds, as well as a more natural feel for your tongue. 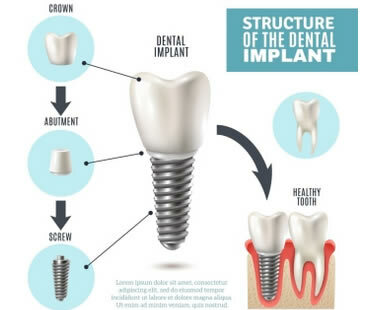 Dental implants also stimulate bone by mimicking natural tooth roots. This stimulation allows the bone to continue to be strong and alive, whereas the bones of the face can begin to shrink once a tooth has been extracted. This bone shrinkage leads directly to poor denture fit. Dental implants used with dentures avoid this issue. If you are a denture wearer and you’d like to see some changes in how your dentures fit, talk to your dentist to see how using dental implants can improve your denture experience. Do you find yourself hiding your mouth behind your hand as you smile or laugh? Do you avoid smiling or laughing broadly so you are able to hide your teeth? Do you dread speaking in public, going out, or eating in public because you have concerns about the appearance of your teeth? If this sounds familiar, you should talk to a cosmetic dentist right away. Cosmetic dentistry is the name for any type of dental work that improves the patient’s aesthetic appearance. It includes bonding, dental crowns, dental bridges, tooth implants, porcelain or resin veneers, gum grafts, and/or the removal of the gum tissue or tooth structure. Braces are also considered a cosmetic dental procedure, as is tooth whitening or bleaching. Chipped, misaligned, or unattractive teeth can lead you to be self-conscious about your appearance. Missing teeth can affect you professionally and personally, and over time, can cause the shape of your face to change as the surrounding teeth begin to shift, making you look older than you actually are. Do you feel as though you are being held back, unable to reach your goals socially or in business, because of concerns about your teeth? Do you feel isolated because you are embarrassed or ashamed to connect with others because of the condition of your teeth or gums? Don’t let your dental concerns hold you back. Talking with your cosmetic dentist can be the first step toward living the full life you desire. Life events such as weddings, reunions, or homecomings can be cause for beginning a cosmetic dentistry journey. Events such as job interviews, first dates, or preparing for an important photograph are all good reasons for sprucing up your smile. Your smile goals can be large or small, and may take one visit or more. Your cosmetic dentist in St. Louis has the training, knowledge, and expertise to make the best possible plan for you. A cosmetic dentist can address anything impeding you from achieving your healthiest, best smile and from being your most attractive, most confident self. If you need root canal treatment in the St. Louis area, contact our office today to schedule a consultation.